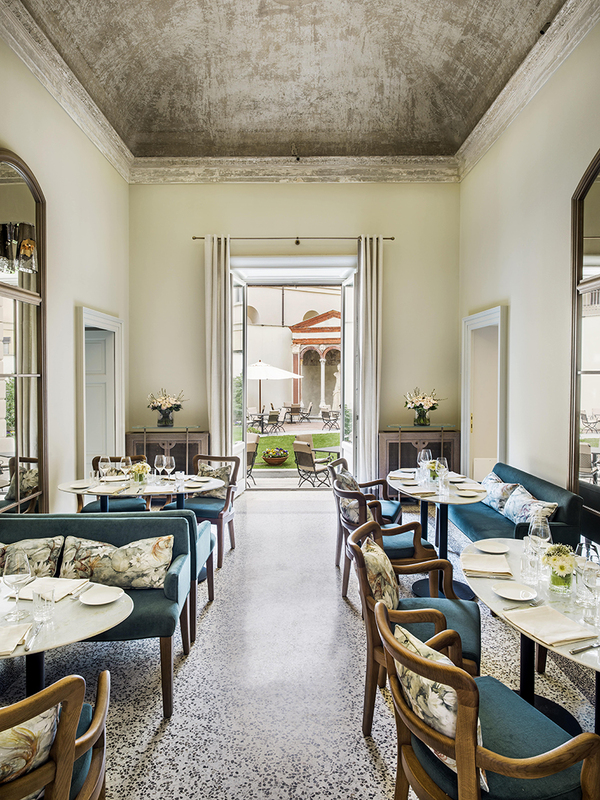 Paper Moon Giardino, a restaurant located in Milan, Italy was created inside the recently renovated Palazzo Reina, a restored 200-year-old mansion in Milan’s most fashionable and popular district. Designed by Ed Ng and Terence Ngan of AB Concept Design Studio, the designers wanted to keep the rich history and architecture intact providing guests a regal yet relaxed dining experience a part from the bustling city. 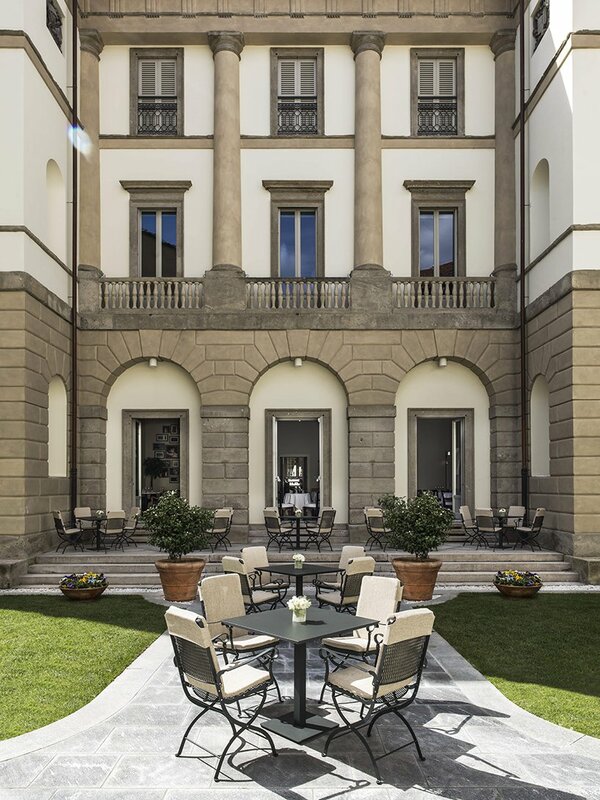 The mansion was previously owned by the noble Luigi Bolis Gualdo to host parties and to entertain his guests from all over Europe. 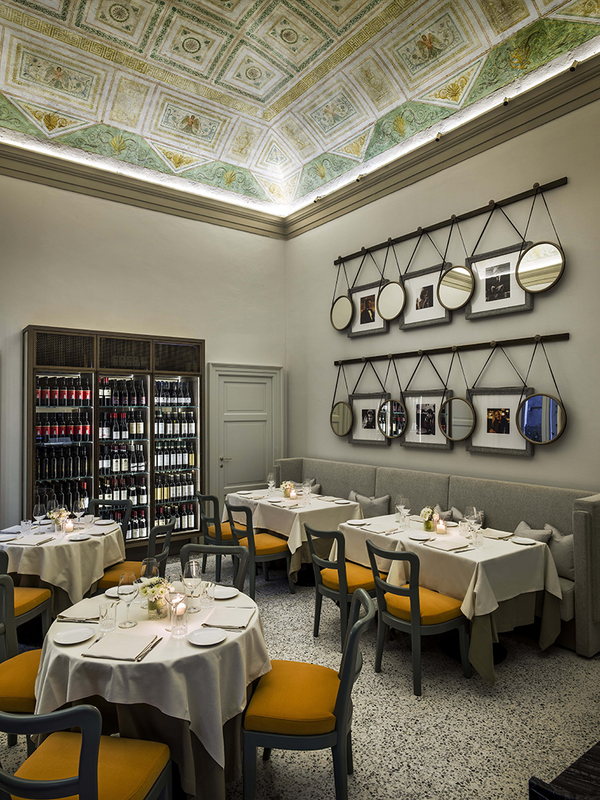 The design preserves many of the original features and fixtures of this neoclassical architecture that surrounds the restaurant. Upon entering, guests step into a beautifully maintained courtyard that leads to a bar area. The color palettes are subtle using mostly neutral hues as a base with splashes of yellow and blue throughout the design. It mimics a intimate home setting fresh linens on each of the tables and pictures hanging from the walls. “My first impression of the location was ‘this is stunning, even too stunning for a restaurant! '”exclaimed Ed Ng when first visiting the site before the renovation. Every part of the interior design such as the furniture and the decor was curated paying attention to the details down to the most minute detail. “In keeping with the paper moon mantra — ‘proving good value honest italian cuisine, in a relaxed, congenial environment’ — our mission was to create a homely and desirable destination. We wanted guests to leave with a memorable experience, and a cozy space that feels like a private residence. 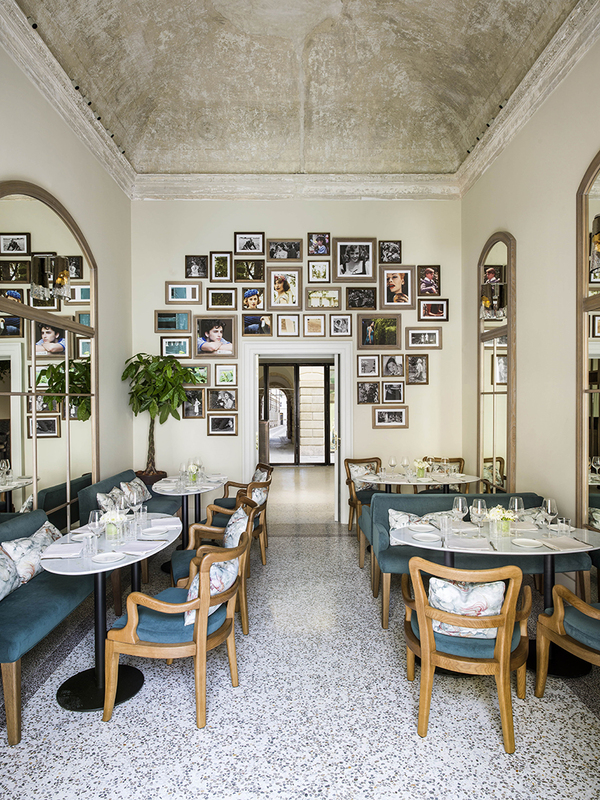 Paper Moon Giardino is a true testament and homage to the former mansion,” explains Ed Ng. 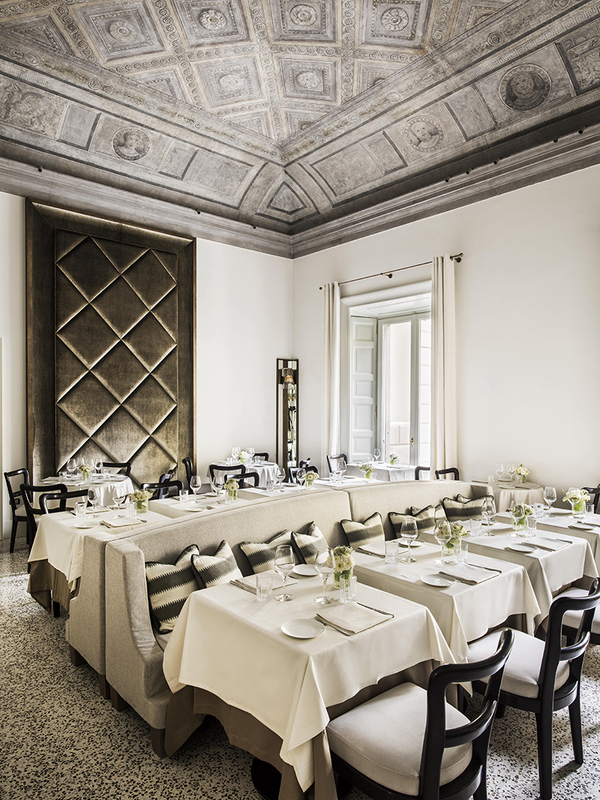 The restaurant is comprised of a grande salone, a parlous, a wine library, and a traditional courtyard garden.